The Latest with David Jay: XTREMELY AWESOME! So last month I was incredibly flattered to be included in an article with two of the hottest new photographers in the wedding industry! Jessica Claire and Liana Lehman have just blown me away with their shooting styles and business savvy and I was really stoked to see that they're gonna be sharing what they've learned at an Xtreme conference later this year. 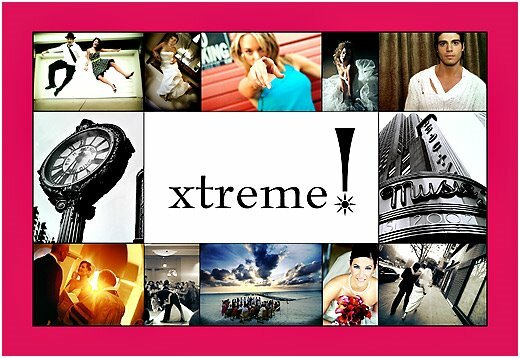 Xtreme is a company that they own and it puts a whole new twist on photography workshops because it focuses on the experience of the people attending, which is such a perfect model because that's what we should always be doing with our clients in any business! If you wanna be inspired then CLICK HERE and watch this sweet slideshow that they made with Showit Web v2! This is the coolest thing ever! Sweet! i want a copy of the article!! Insane! Totally Insane!! That slide show rocks and congrats to you David!! seriously tho... who shot that HOT cover?? Oh wait, DAVID JAY!!! I'm soooo proud of you man! ... will you sign jazzy's legs for me in vegas??? I want my showit signed too cz that software is HAUT! I'd let DJ sign my legs for a gratis copy of ShoIt any day!! !